Embark on an transformational experience with Darlene, Skyler and the Radiant Hot Yoga family. 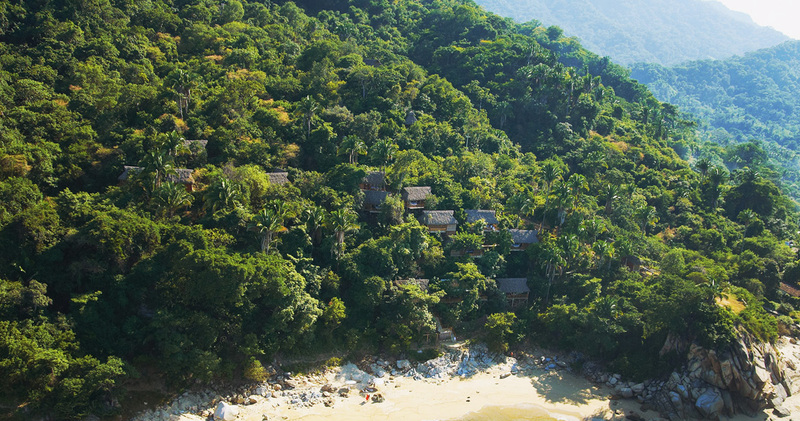 Join us in Puerto Vallarta, Mexico for 7 days of sun, sand, yoga, adventure and relaxation at the beautiful Xinalani Retreat center. 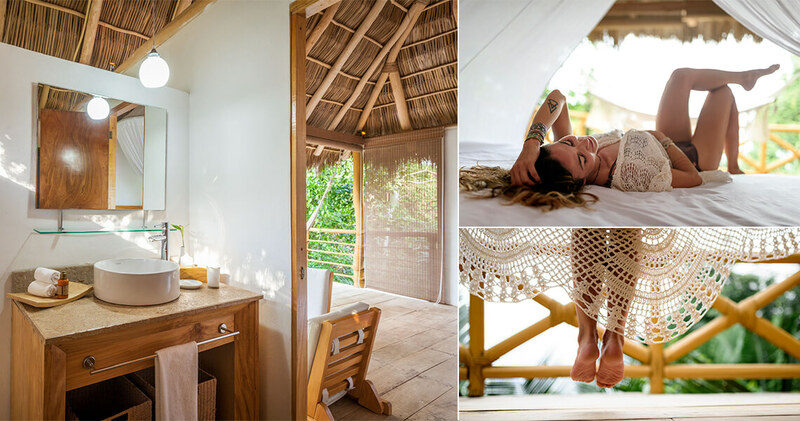 This seven day yoga retreat is about disconnecting from the outside world and reconnecting with yourself and nature. 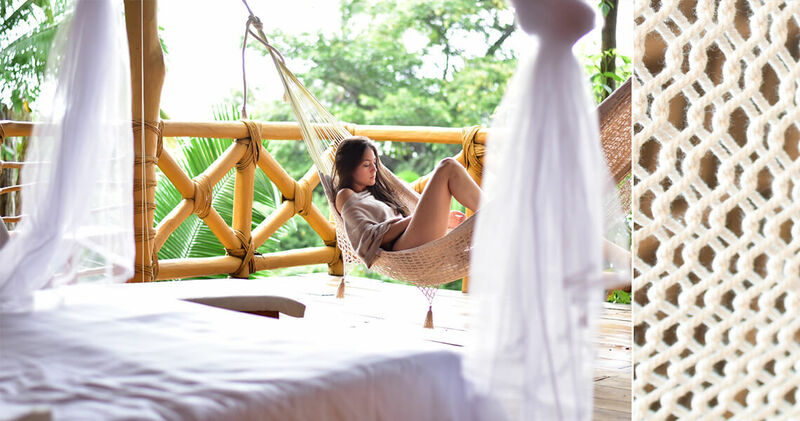 You will leave this retreat feeling relaxed, empowered and full of joy after spending one week in beautiful Puerto Vallarta, practicing yoga and meditation daily, while also going on exciting adventures and relaxing in the sun. This is an amazing journey of yoga, adventure, and self discovery! 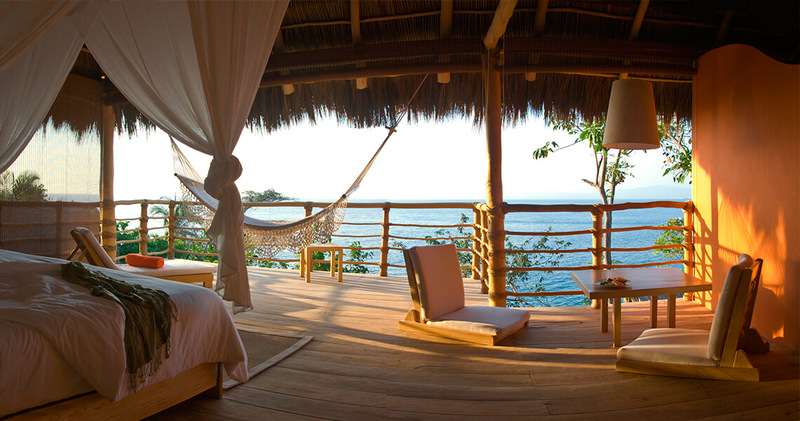 Nestled between lush jungle and emerald ocean. 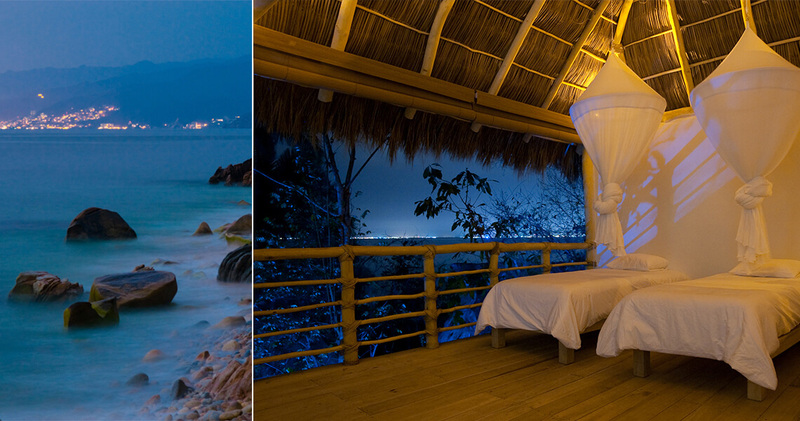 Xinalani is a lovely, elegant, eco-friendly retreat center off the coast of Puerto Vallarta, Mexico. This retreat center is only accessible by boat. 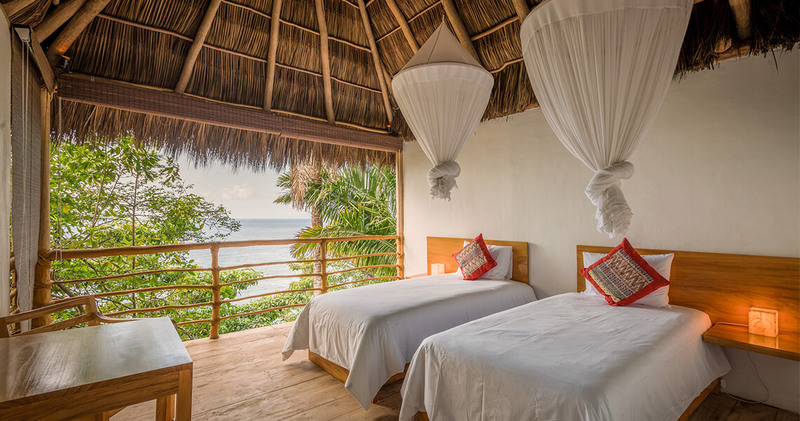 It has breathtaking ocean-front rooms, an open-air yoga studio with views of the ocean and jungle, two hot yoga rooms, a meditation cabin, easy access to the beach, a healthy and delicious cuisine, breathtaking adventures, and the friendly staff. 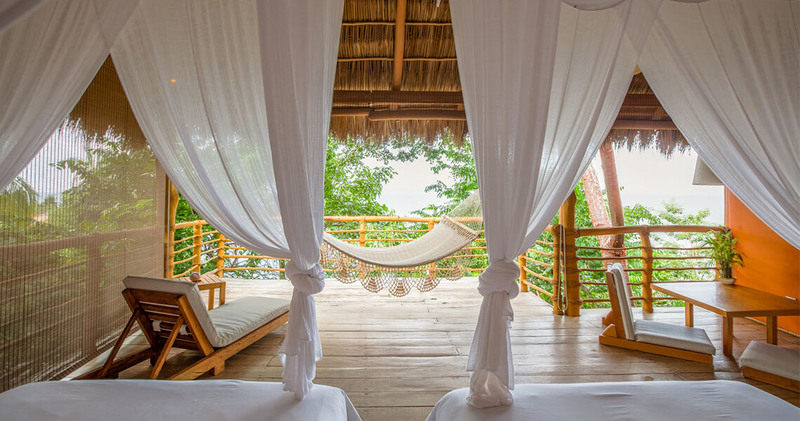 Come enjoy your dream stay at our nature retreat. 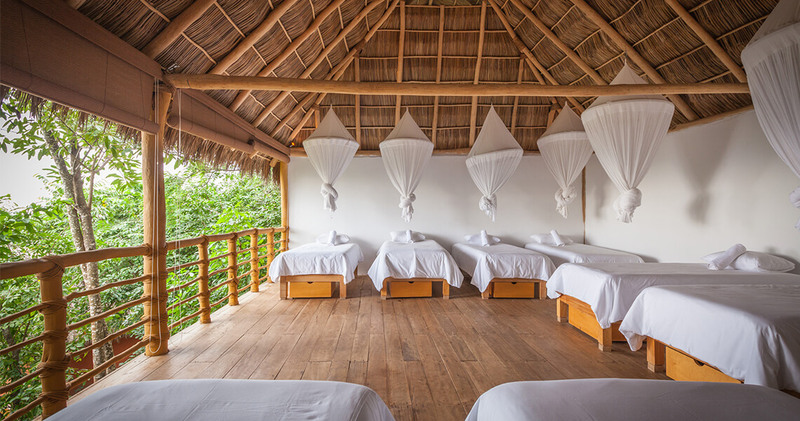 With six stunning yoga spaces, a temazcal (ancient sweat lodge), beach club, lounge bar, sand terrace, oceanfront spa, and a restaurant for yogis, Xinalani is a sanctuary of wellness and serenity. This experience will change your life. Join your yoga family for an experience of a lifetime. 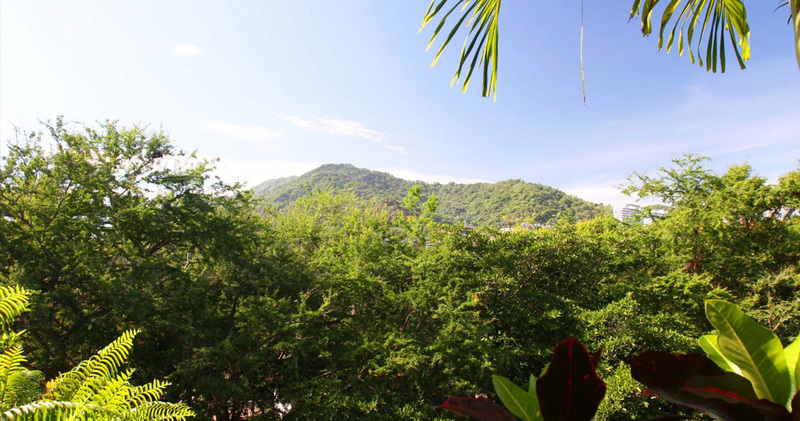 Conceived as a tropical haven to host spiritual personal retreats, group retreats, teacher trainings and mind & body workshops. 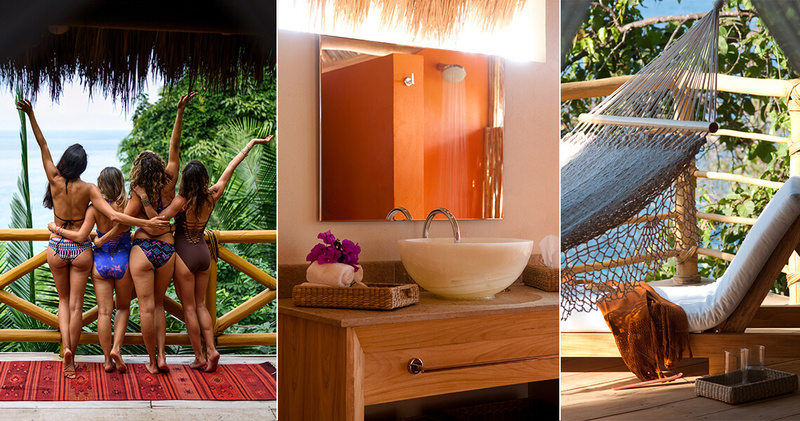 Xinalani® is a one-of-a-kind Retreat Center bringing together the best yoga facilities, beautiful eco-chic accommodation, delicious healthy food, relaxing spa treatments and supporting staff to make your dream retreat come true, all set on a wide pristine beach and a jungle of breathtaking natural beauty. Xinalani means “seeds” in pre-hispanic language. It is pronounced shee-nah-lah-nee. We feature four yoga studios equipped with all props and a sound system. Explore our local wilderness on a trek through the jungle behind Xinalani. 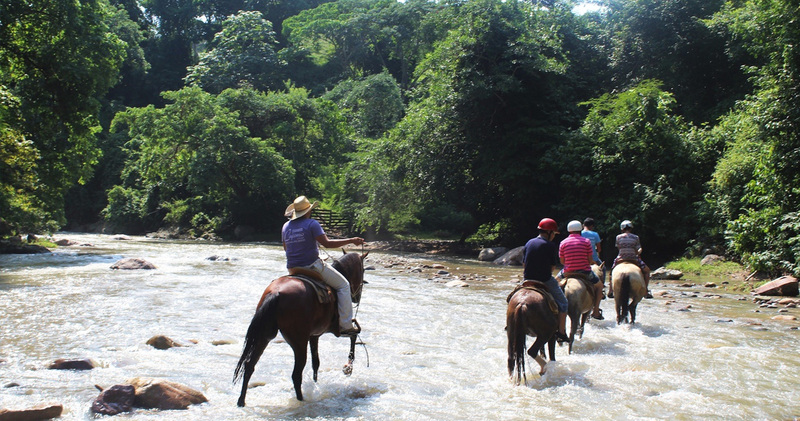 Our guide will “machete” his way deep into the rain forest, leading you to a pristine waterfall. Enjoy some serious immersion in nature away from tourists. This is a steep hike that requires solid walking shoes, light sports clothes, a bottle of water, and bug repellent. 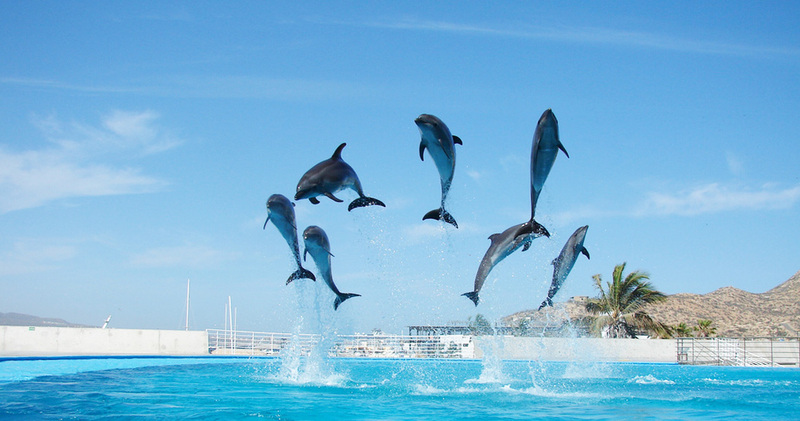 In partnership with experienced marine biologists, we’ve created an opportunity to swim with dolphins in their natural habitat. After a short presentation about dolphins and whales lifestyles, you’ll take a boat to seek out dolphin pods. 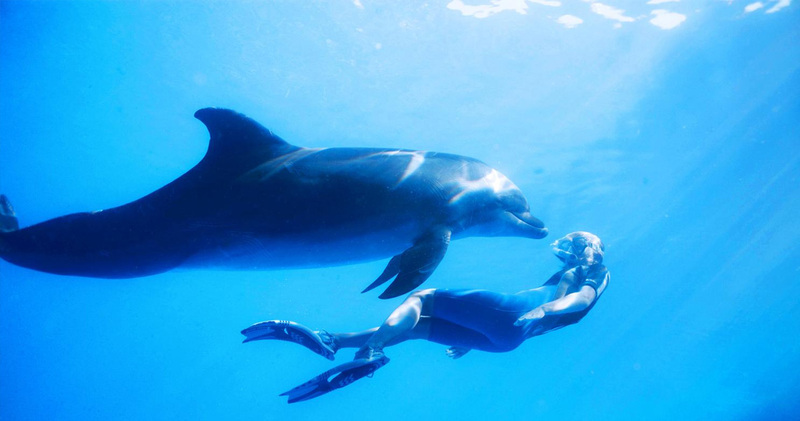 Hop in the ocean for an unparalleled swimming experience! Please take into consideration that finding dolphin groups can take some time. Wear a swimsuit and sunscreen. 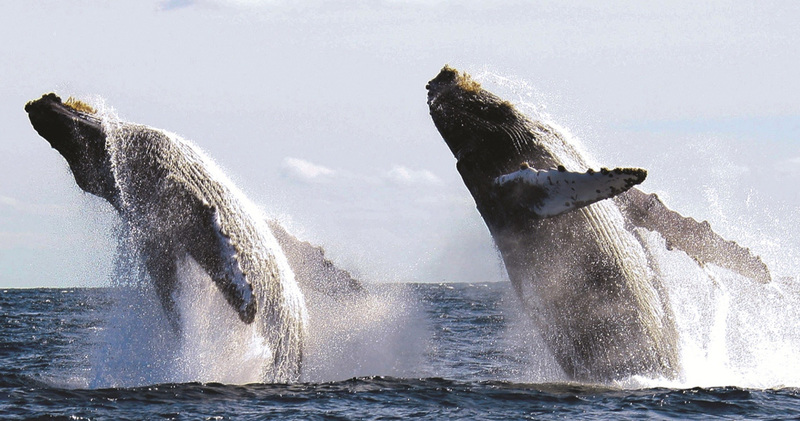 Embark on a panga ride across the bay for humpback whale watching. 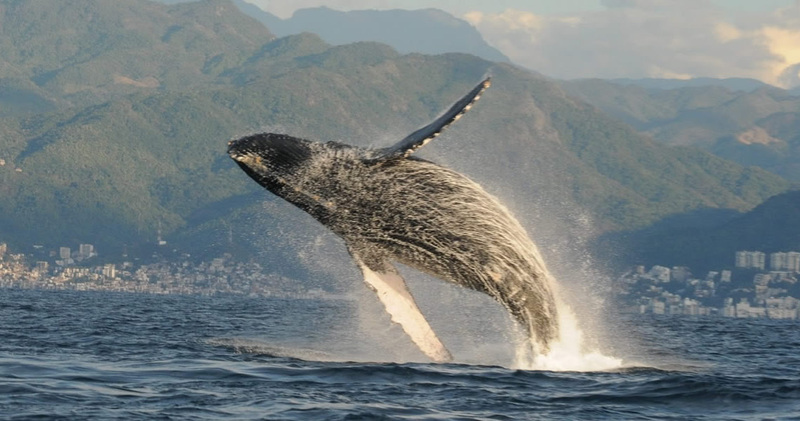 From November to March, many whales migrate from the North Pacific Ocean down to the shores of Banderas Bay in search of a warm haven to reproduce. Our boat driver is in-the-know as to their whereabouts. He’ll take you as close to the whales as possible without disturbing their ongoings or compromising your safety. 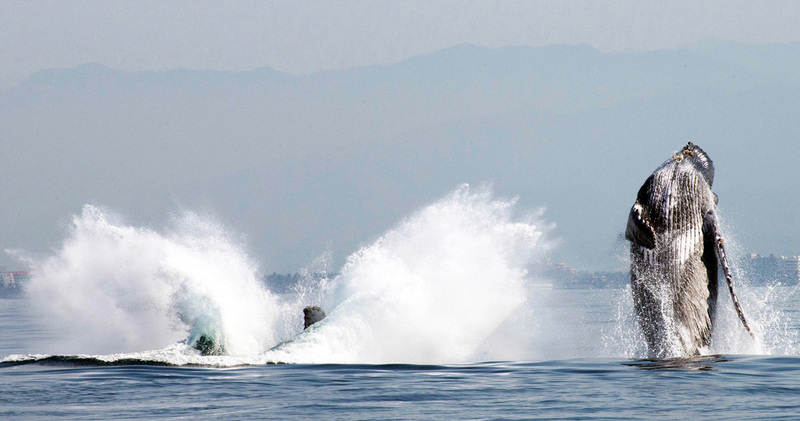 Seeing a whale close-up is truly breathtaking and a definite must during whale season. 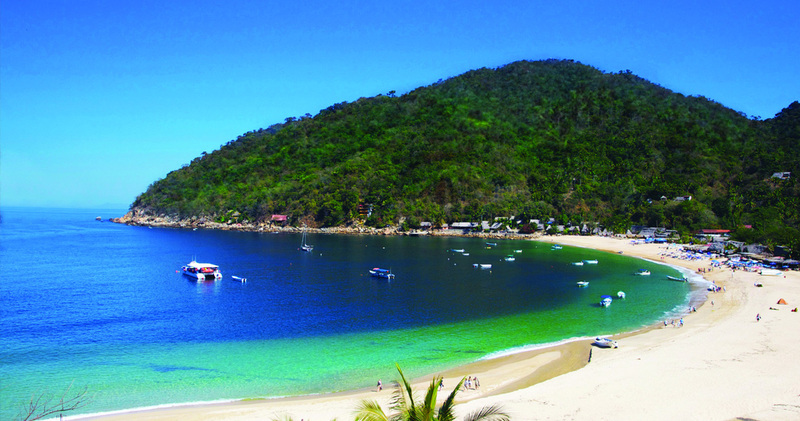 Wear your swimsuit – you’ll get a chance to swim and snorkel in our warm Banderas Bay. 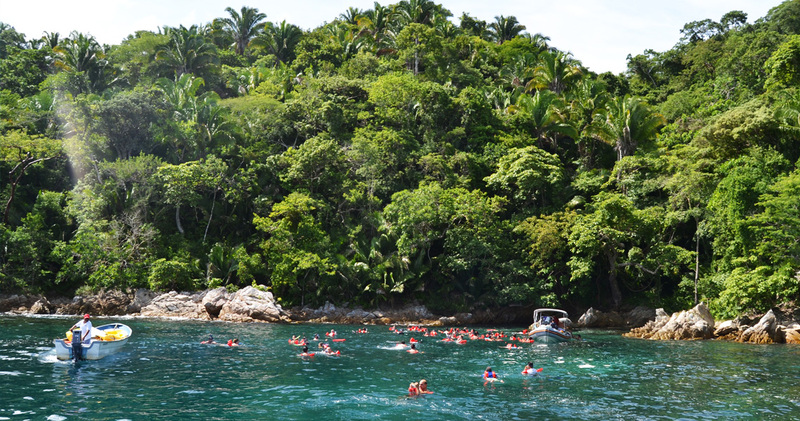 Get on the panga and head to the peaceful and isolated cove of Majahuitas for swimming and snorkeling. 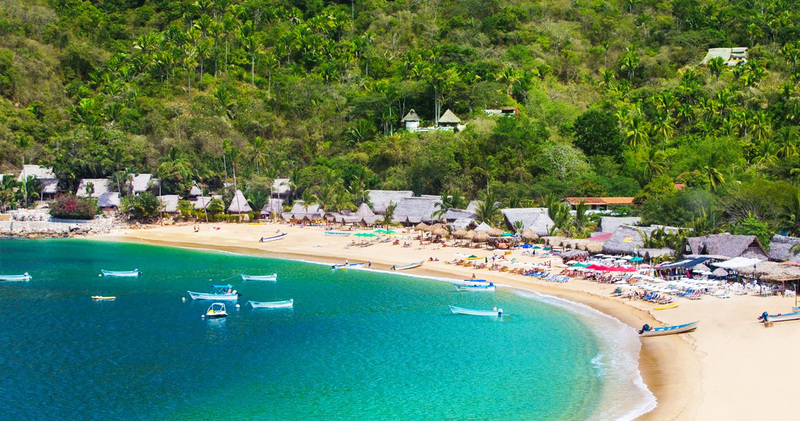 After a sightseeing boat ride, we’ll bring you to the charming Yelapa, a traditional fishing village nestled in a stunning bay. 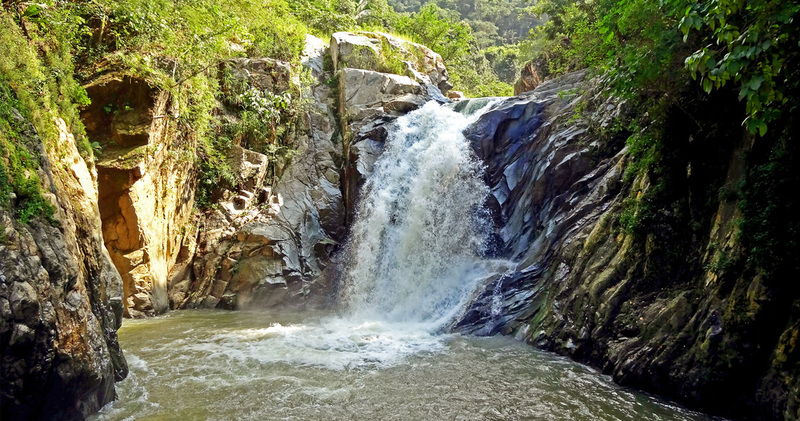 Hike through town to the waterfalls and depending on the time of year, go for a swim! Back on the beach, you’ll have time for a delicious seafood lunch at the restaurant of your choice. When you’re ready the boat will pick you up and give you a fresh cerveza on the way back to Xinalani. *Not included: airfare, extra meals, alcoholic beverages, transportation to and from airport, international medical travel insurance. 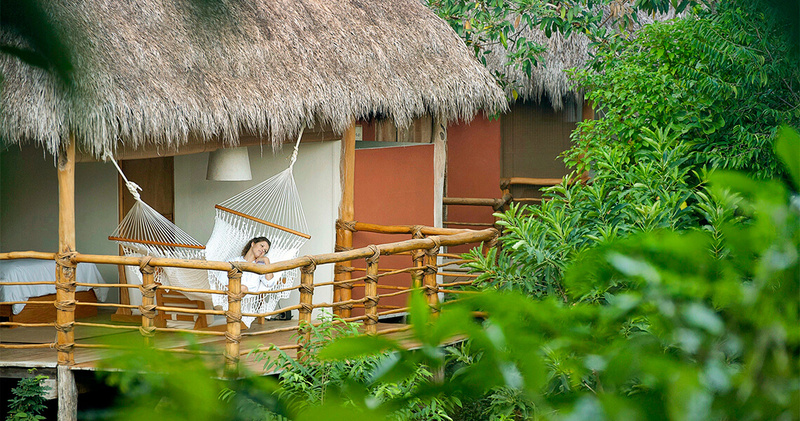 All of theasitas and rooms are spacious, palm-thatched roofed cabins built on stilts. 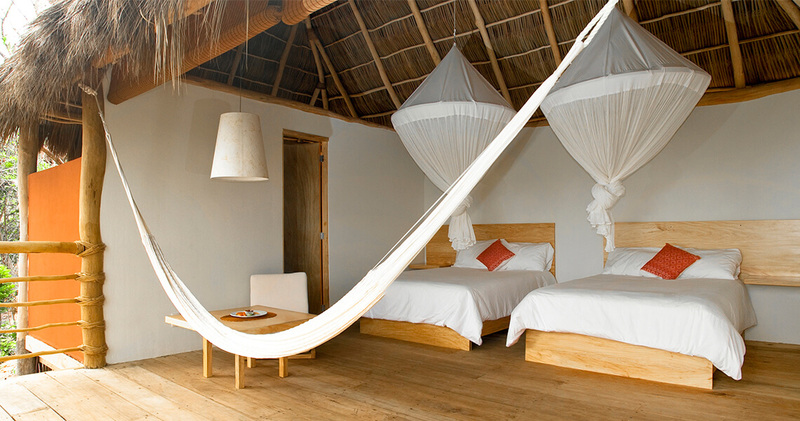 They were designed with, built and elegantly furnished by local artisans. You’ll love their calm and serene energy. *Prices are per person, unless stated otherwise. Single rooms are available but limited. Payment plans are also available. Please contact us for details. 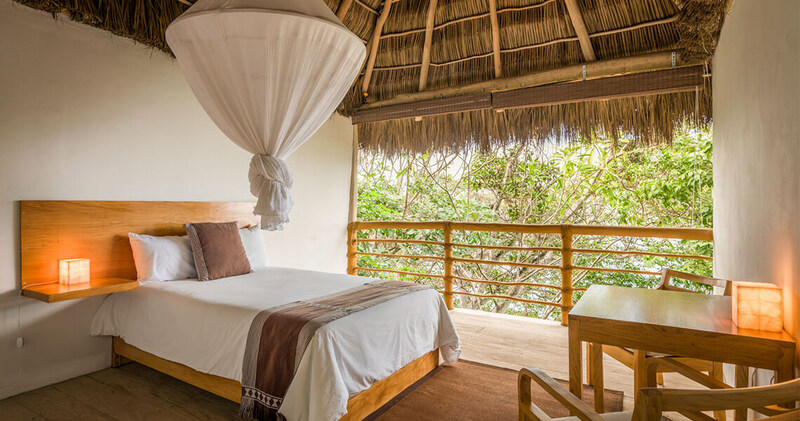 The Casitas have a spectacular ocean view and a unique zen-chic setting. 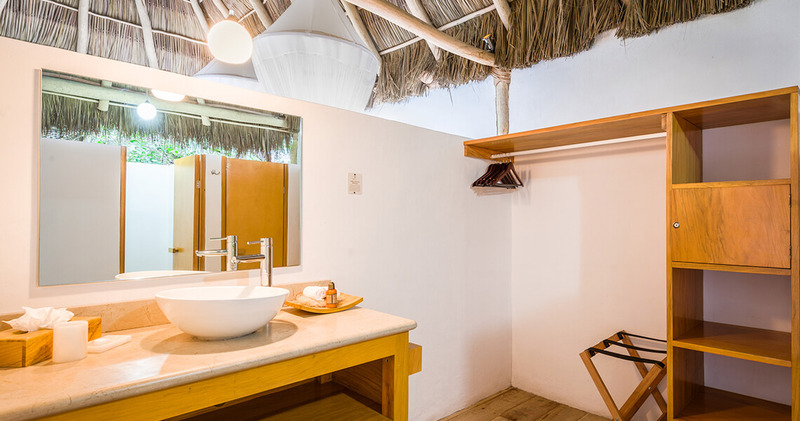 All Casitas are 538 sq ft and have a private terrace, a hammock, a sitting area, a private bathroom, a closet, luxurious amenities and amazing settings. 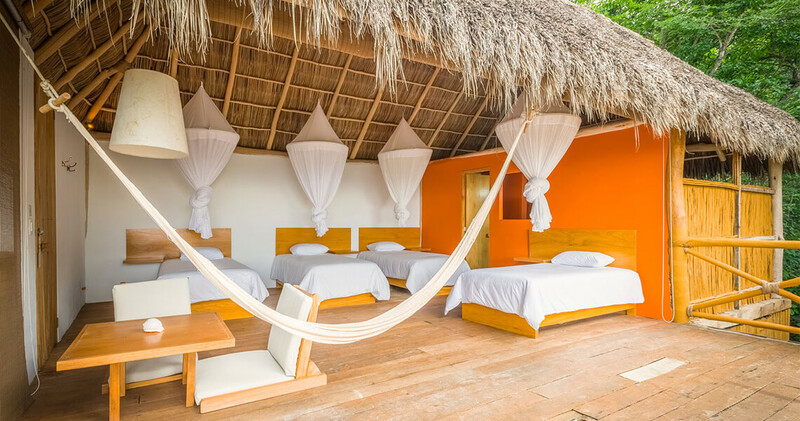 All beds have pillow top mattresses, and gorgeous mosquito netting. All rooms have a safe locker to deposit valuables. Hot water is available in all rooms. One of the most-loved features at Xinalani is the food. With a menu designed especially for yogis, we offer healthy, gourmet vegetarian and non-vegetarian Mexican meals. Whether you’re a total beginner or a seasoned yogi, you’ll learn new techniques in our meditation and yoga workshops. Let our experienced instructors teach you tools for growth that you can bring back home. Cancellation Policy – In the event of cancellation your payments are non-refundable. Travel insurance – We strongly recommend that you purchase travel insurance for your trip. There are many travel insurance companies to choose from but Travelex and World Nomads are two reputable organizations for worldwide travel coverage.